more supple (100% agree*) and radiant skin has a newfound glow (97% agree*). Life begins at 50. Absolue Premium BX assures you! 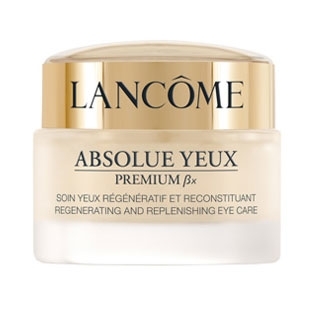 The top Lancôme age-defiance product to fight the loss of vitality as gives firmness and healthy glowing radiance to your skin. 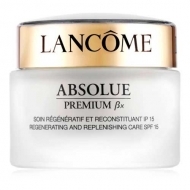 To understand the ageing process, Lancôme scientists have studied the effect of the weakening of the skin?s matrix, hormonal changes and sun damage on the appearance of the skin. 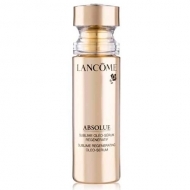 As a result a marvel formulation was designed to fight the tiresome signs of aging. Enriched with the advanced Pro-Xylane? and the amazing bio-network of wild yam, soya, brown algae and barley, has spectacular results. Gently pat into skin-never rub-using your ring finger.Concentrate on eyelid and crow's feet.